New Force Awakens Han Solo Life-Sized Cardboard Standee available now! 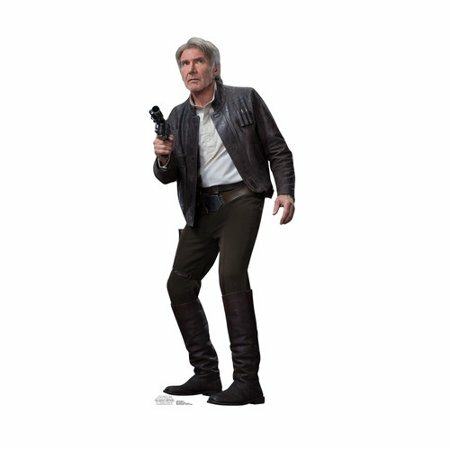 A brand new Force Awakens themed life-sized cardboard standee of Han Solo is now in stock on Walmart.com! This standee costs $39.95 and shipping is free. This life-size cardboard cutout of the beloved character Han Solo? (Harrison Ford) from Star Wars: The Force Awakens will be a great addition to your collection. Order this legendary Star Wars character today! Available now in a galaxy near you!